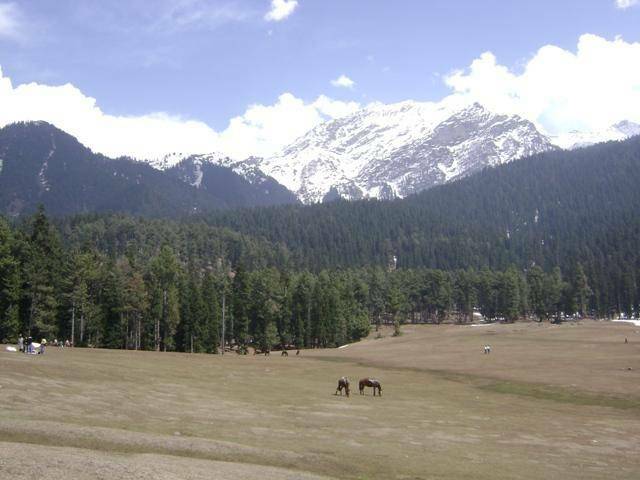 Baisaran meadow is the must visit sightseeing place in Pahalgam. Much famed as many Bollywood movies were shot here. Endless green meadow with tall conifers makes you soul and body relax. Camping, picnicking under clear blue sky over the green grass carpet enthralls you. Kids can have fun rolling on the meadows and adults can relax without getting tensed about their kids. Honeymooners throng the place a lot. Baisaran is situated at an altitude of 8000 feet from where you can have a glimpse of Lidderwat and Pahalgam.